Bank Statement Checker Software - Download Bank Checker Software to audit your mortgage statements for lender mistakes. Find out today if your bank is overcharging you. With Mortgage and Home Loan repayments being one of the biggest expenses for most of us, it is important to check your bank statements for errors. An extra fee here, a wrong interest rate there, and bank errors could end up costing you thousands in additional interest over the life of your loan. You can either use Bank Statement Checker software or perform the check manually. So what do you check for on your bank statements? This article identifies ten types of bank errors, with a particular focus on mortgage and home loan statements where bank errors can end up costing you the most. Is your mortgage one of the thousands being overcharged interest EVERY DAY? Get the facts on Home Loan Manager Pro, the only Bank Statement Checker that can check for bank errors in UNDER 5 MINUTES! Click on "Watch the Video" button to view Today Tonight's special report into Bank Mistakes and find out how to check your mortgage for hidden errors. "It could have ended up costing me about $20,000!" It's Time to Beat Your Mortgage! Check for errors, crush your debt and be mortgage free sooner. Every homeowner can do it. 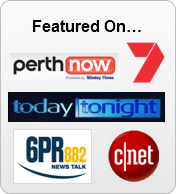 Download the break-through mortgage software featured on Channel 7's Today Tonight "Bank Mistakes" TV Show and take control of your mortgage today! When you download the software you will also get instant access to the "Beat Your Mortgage" tips and tricks series built from 10+ years of helping Australian homeowners. Discover insider secrets the banks don't want you to know about your mortgage. How Can Mortgage Software Help You? Have a quick look at this overview page to find out how you can uncover hidden bank errors, save thousands off your mortgage repayments and get your money back from the bank! Start by checking your bank statements for unexpected transactions and incorrect withdrawals. Make sure the interest rates on the bank statements look correct, and any applicable discounts are being calculated correctly. Check your bank statement deposits are for the right amount, processed on the expected date and applied in the correct way (usually as a principal repayment). Make sure all fee transactions are correct, and that you are not paying for ancillary services that you have not requested. If you have an offset account, make sure the balance is being applied correctly. Check your bank statement interest calculations are correct. You may need the help of a spreadsheet or home loan checker software package for this. So just how often should you check your bank statements? Well in the good old days, when mortgages were simple and you paid the same amount each month year in and year out and received your statement in the post once or twice a year, then checking your bank statements on an annual basis was generally enough. This may still be the case if you have a fixed interest or simple variable rate mortgage and you make twelve equal payments in the year. However if you have a variable rate mortgage, a home equity line of credit, you make additional repayments, or you use an interest offset account, then you'd better sharpen those red pencils and get ready to audit much more frequently. The added complexity not only means that you are more likely to find errors in your bank statements, but the job can become too large to leave for a once a year check. Luckily, with Internet banking it has become easier to access your statements in a timely manner, as well as allowing you to download them and play with them in a spreadsheet or load them into a home loan checker software package. Therefore, depending on the complexity of your loan, you may wish to audit your mortgage somewhere between once a month and once a year. If you choose to audit just once a year, then you may wish to perform additional checks when major events take place, such as a change in interest rates, switching loan products or making additional repayments. Starting with the obvious, check that your bank statements do not contain additional or unexpected transactions, or transactions applied twice for the same amount. If you normally pay interest and principal amounts once a month, then incorrect transactions should stand out. Look for additional fees, account adjustments, charges for ancillary products (like insurance) or other transactions that should not be there. Make sure that if there are any withdrawals from the loan, you know what they are for. Human errors happen, and the bank staff may accidentally withdraw money from your mortgage to pay a different client (all it takes is for them to enter one digit wrong when typing an account number). If you don't normally withdraw funds from your account this should be a simple check, however if you have many legitimate transactions, it could require a more thorough mortgage audit. Once you have looked for the obvious, its time to check your bank statements for the most common errors. The interest rate is one of the most important factors in determining how much the loan is going to cost you over its life, and therefore one of the first things to check. Make sure the interest rate listed on the statement is the same as the same rate you expect to be charged. If there has been an interest rate rise or interest rate fall in the period of the statement, make sure the date it has been applied from is correct. Your bank statement should list the rates used during the statement period, as well as the date they were applied from. At this stage you are not checking the interest calculations, just that the bank is reporting the correct interest rate information. Look out for this type of bank error when you first take out a loan, switch loan types, change from fixed to variable rate or variable to fixed rate, or the bank changes the interest rate for your loan. If you are fortunate enough to have negotiated a discount off the standard interest rate for your mortgage (for example, if you have a good credit rating, are borrowing a large amount, or belong to a professional association) then make sure the discount is included in the interest calculations. If there is only one interest rate listed on the statement, make sure it is the standard rate less your discount. If there is no mention of your discount and the statement only lists the standard rate, then check with your lender that they are applying the discount in the interest calculation. If you are in a position where you are able to make additional repayments over and above your normal monthly repayments, then make sure the deposit transactions are for the correct amount. A simply human mistake of entering 10,000 instead of 1,000 could be very costly to you over the life of the loan. Check that the date the bank processed the deposit is correct. Although some types of deposits may take several days for the bank to process, make sure they have not unnecessary held up your deposit. There have been cases of lenders accepting the deposit and waiting for up to a month to apply it to the account. During this period they have the benefit of your money, while your interest payments are calculated on a larger balance than they should be. If the additional repayment is to come off the principal amount (and not sit in reserve as pre-paid interest) then make sure the bank correctly processes it against your mortgage. If the deposit is applied to the principal then you will pay less interest from the date of the deposit, as it reduces the balance on which the interest is calculated. If your bank charges you a mortgage administration fee, make sure the total of all fees charged to you in the year add up to the expected yearly total. That is, make sure the bank hasn't "accidentally" charged you a thirteenth monthly fee in the year. For example, if your bank charges you $10 a month then make sure your yearly total is $120 ($10 x 12). Look for any additional type of fees that have been charged to you that should not have been. Examples include fees for reprinting statements (where you didn't request reprints), late payment fees (where your payments weren't late) and dishonour fees (where your payments weren't dishonoured). Check your bank statements for ancillary services you don't need or didn't request. Your lender may be charging you for things like travel insurance, roadside assistance, and other non-essential ancillary services. Apart from some types of mortgage insurance, most other types of services are optional. If you are not sure what a charge is, ask your lender to explain it. Interest offset accounts can be a great way of saving thousands off your interest bill, by having the balance of the account work in your favour in the interest calculations. Unfortunately offset accounts also add a layer of complexity to your mortgage or home loan, as the bank has to subtract the offset account balance from your mortgage before calculating the correct interest charges. Bank mistakes to look for include, totally forgetting to subtract the offset account balance or only providing you with the benefit from a portion of the balance (that is, not providing you with 100% offset). Most mortgage bank statements will list the balance and the offset amount used, along with the interest saving made from the offset account amount. If this is the case, then check that the offset account it is referring to is yours, and the balance amount it is using looks correct. Refer to the next section on Interest Calculations for more information on calculating the offset account benefit. Now that we have covered the simpler errors, its time to check that your bank is calculating your interest charges correctly. This is one of major sources of errors and one that can prove to be extremely costly. Unfortunately it is also one of the hardest to check for. Even if you check your bank statements for all the errors listed above, and find that all your deposits are for the correct amounts and on the correct dates, the interest rates are all correct, there are no incorrect fees, your offset account looks correct and all the transactions look genuine, the bank may have incorrectly calculated your interest amount. It could be caused by something as simple as a change to their computer system causing it to pick up the wrong figures or use the balance on someone else's account to calculate your interest. Auditing your interest calculations and checking that you haven't been overcharged is something you can do with a spreadsheet (if you have the financial knowledge). Alternatively, you can use a home loan checker software package, which will do the calculations for you (once you have entered your loan details). For more information on mortgage audit software, please refer to the Useful Tools section below. Bank Statement Errors Checker- What Next? The next step is to dig out your existing mortgage statements and check them for errors. Likewise, when your next statement arrives (or if you have access to you mortgage statement via Internet banking) check it for errors before you file it away. 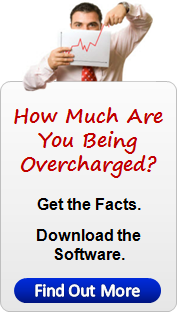 You may find that your bank has already overcharged you. One thing is for sure, if you leave them unchecked then you run the risk of paying thousands in extra fees and interest charges over the life of your loan. 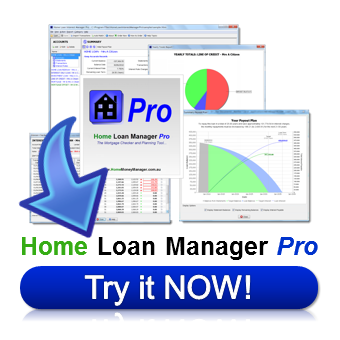 Mortgage Audit Software - Home Loan Interest Manager Pro is a complete home loan and mortgage manager that allows you to track your repayments and audit your mortgage statements. Download the free trial now and check if you have been overcharged (available for Windows, Linux and Mac OS X). Home Money Manager is a company that specializes in the production of easy to use personal finance software. Are you personal finances under control? Find out how what's really going on with you mortgage, home loan, credit cards and personal budget at http://www.homemoneymanager.com.au. Mortgage Software - What Next? 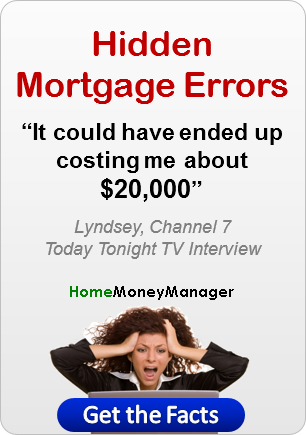 Mortgage Software - Hidden Bank Errors, Get the Facts. 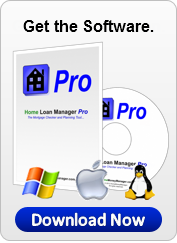 Mortgage Software - Download and Try the Software Free. 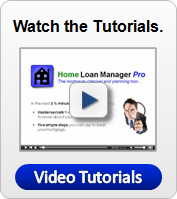 Mortgage Software - Watch the Getting Started Tutorials.